These recipes will leave you feeling satiated and energized. Have you heard of Bulletproof coffee? It's a blended mix of coffee, unsalted grass-fed butter and a concentrated form of coconut oil called MCT. I'm a big fanâhere's the recipe I use. But whetherÂ or not you partake inÂ the brew, thereâs a lot more to the Bulletproof diet than just coffee.Â In general, itÂ involves eating plenty of veggies,Â healthy fats, and moderate amounts of high-quality protein (such as pastured eggs and grass-fed meat) as well asÂ avoiding sugar and grains. If you're thinking, "That sounds a lot like theÂ Paleo diet" you're not wrong, but there are a few differences. For example, the Bulletproof dietÂ advises that you eat moderate, not high proteinÂ andÂ advocates particular cooking methods. If this all seems complicated, the good news is that aÂ new cookbook, released this week, can helpÂ simplify this eating plan.Â Bulletproof: The CookbookÂ ($17, amazon.com) contains 125 recipes that willÂ leave you satiatedÂ and energized.Â Here are three examplesÂ to give you a "taste." 1. Preeheat oven to 320Â°F. 2. 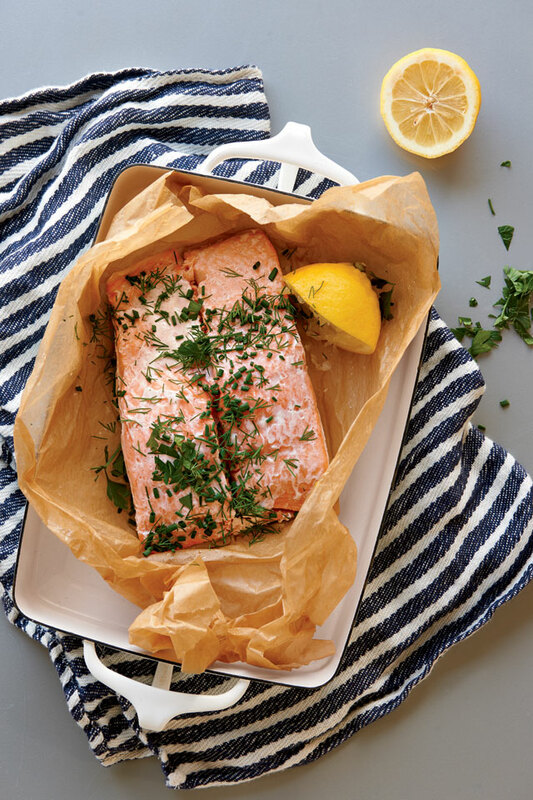 Place salmon on a piece of parchment paper on a baking sheet. Rub fillets with oil, season with sea salt and top with butter. Wrap parchment around fish, folding seams and tucking them to ensure steam does not escape. 3. Bake until fish is medium-rare, about 18 minutes. Sprinkle with herbs and a squeeze of lemon and serve. Tip: To enhance the resemblance to risotto, dice the squash and potato very fine and reduce the cooking time. 1. In a medium saucepan, melt ghee in oil over medium-low heat. Add leek, if using, and cook, stirring, for 1 minute, taking care not to brown it. Add squash, sweet potato, and herbs, stirring once to combine. 2. Add broth and season with salt. 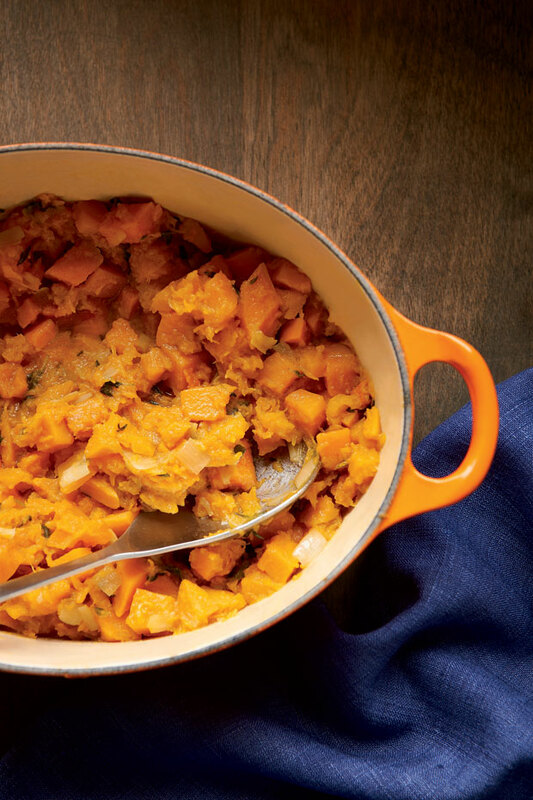 Simmer gently, stirring occasionally, until sweet potato is soft and squash is just tender, 18 to 20 minutes. Taste and season with additional salt, if desired. Serve warm. 1. Line a plate or small baking sheet with parchment paper. Bring 1 inch of water to a simmer in a small pot. In a small heatproof bowl that sits over the pot without touching the water, melt chocolate, stirring occasionally until three-fourths melted, 8 to 10 minutes. Remove bowl from pan and stir chocolate until it is fully melted. Stir in butter until well combined. The chocolate should be melted but not hot. 2. Tilt bowl slightly to make a deeper pool of chocolate. 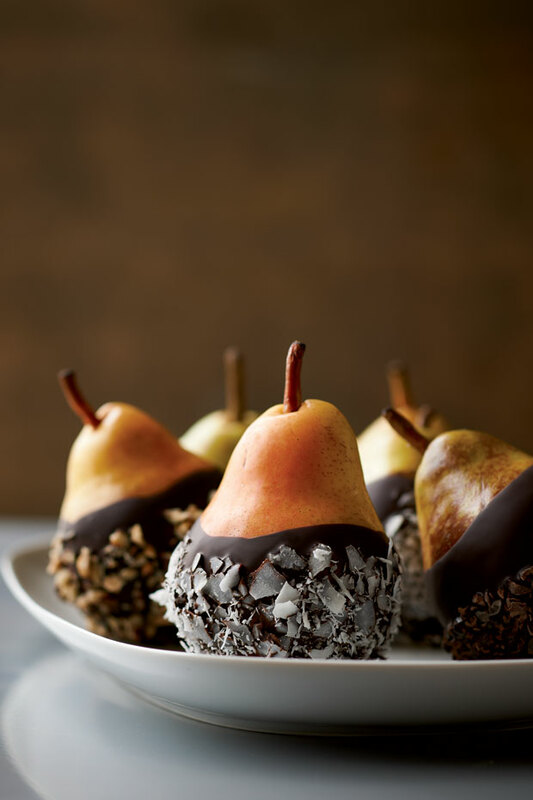 Dip each pear bottom into chocolate. Sprinkle chocolate with topping of choice and coarse salt and place on parchment. Refrigerate until chocolate is set, about 20 minutes. Adapted fromÂ Bulletproof: The Cookbook by Dave Asprey. Copyright (c) 2015 by Dave Asprey. By permission of Rodale Books.